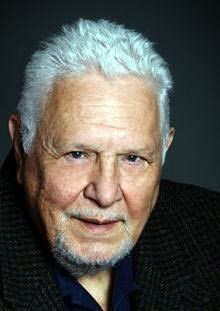 I was sad to read that Victor Stenger died during the week at the age of 79. Victor was a prolific author, writing on science, religion and philosophy. He often dealt with difficult issues coming out of the religion-science debates and was always able to explain complex subjects very effectively for the layperson. In his retirement, after a career in particle physics research, Stenger took to writing popular books in science, religion and philosophy and participating in the public discussion and debate of these issues. Although not as prominent as the people usually called the “New Atheists” he was one of that group. In fact he wrote a book titled The New Atheism: Taking a Stand for Science and Reason . (See my review of this book at Defending science and reason). Victor was also well-known for public debates with religious apologists like William Lane Craig and Hugh Ross. I believe his role in these were important because of his ability to explain particle and cosmological physics and thereby show how these apologists had been distorting the science. Readers interested in watching some of these debates will be able to find them on YouTube. I suppose it is fitting that Victor Stenger was writing till the end. He died with one book waiting to be published – God and the Multiverse: Humanity’s Expanding View of the Cosmos . Victor will be missed not only by his family and people who knew him, but also by many readers.